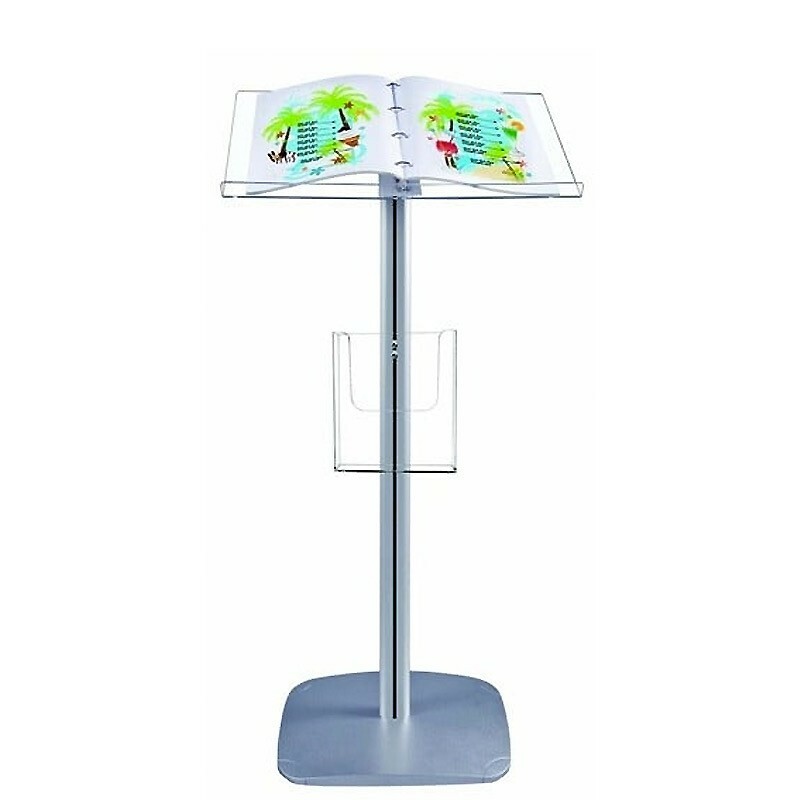 This menu holder offers a robust, reliable home for your literature. 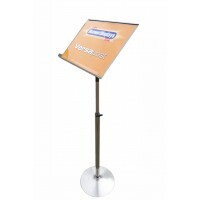 it has a steel base which ensures that the menu holder is sturdy at all times, no matter how big or small the menu that you place on it is. 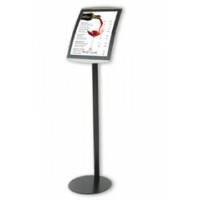 The total width of the menu holder itself is double A4 – which gives browsers more than enough room to open your menu out and have a detailed look at what's on offer. 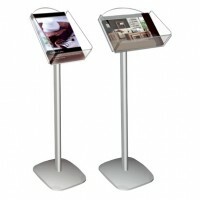 The freestanding modern menu holder stands 1400mm off the ground, which means it’s easily viewable and accessible for people of all different heights. Although this product is marketed as a menu holder, it’s also suitable for placing other publications and documents on – especially at trade shows and exhibitions. 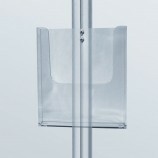 This product can be complemented perfectly with the addition of our A4 perspex literature stand, giving you the chance to add another dimension to your menu holder, and offering space for you to provide menus for passers-by to take for themselves. 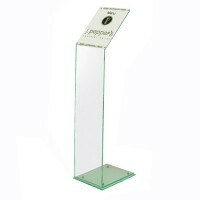 Place your order today and we can have your item delivered to you within just 2-3 days!